This provider is not accepting online appointments currently. Call the doctor's office at (773) 227-3303 to book an appointment. Born in Augusta, GA to Peruvian parents, Dr. Milton Chavez was raised in Spartanburg, SC where he finished his undergraduate education. He went on to Meharry Medical College followed by three years of surgical training including a pediatric surgical fellowship at UCLA. He subsequently went on to Rush University to complete a residency in Family Medicine. Dr. Chavez joined the Rush faculty and worked as assistant professor of family medicine at the Rush-Illinois Masonic Family Medicine Residency, where he developed a procedures curriculum, and served as its first coordinator 1993 to 2001. Dr. Chavez left this position to serve as Director of Outpatient Procedures and coordinator of the Health Systems Management Curriculum for the Saints Mary and Elizabeths Family Medicine Residency 2001 to 2010. Dr. Chavez special interests include office surgery and procedures including the diagnosis and management of skin and musculoskeletal disorders. 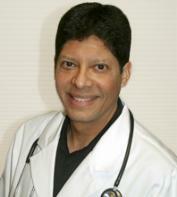 Dr. Chavez is board certified in Family Medicine and is a fellow of the American Academy of Family Physicians. He is an active member of the Society of Teachers of Family Medicine, the American Academy of Family Physicians, the American Society of Colposcopy and Cervical Pathology and the American College of Physician Executives. Dr. Chavez has many interests but is passionate about health, food, travel and cycling.